KATHMANDU, July 21: The political parties always support Dr Govinda KC when they are in opposition but oppose him when they are in government. It is as though they are only using him for their own political interests. 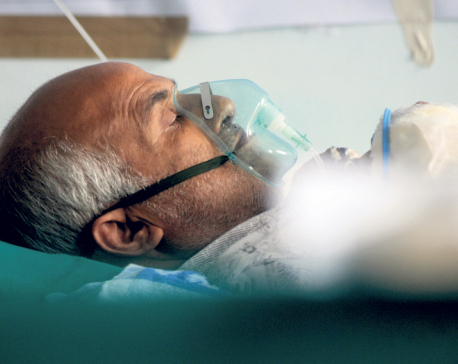 Dr KC, senior orthopedic surgeon and professor at the TU’s Institute of Medicine, has been on fasts-unto-death for a total of 187 days as of Friday, demanding reform in the medical education sector. 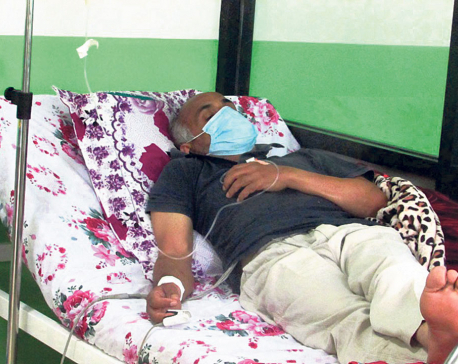 He staged his hunger strikes seven times under Nepali Congress-led governments, six times under communist-led governments and twice under the Khil Raj Regmi government. 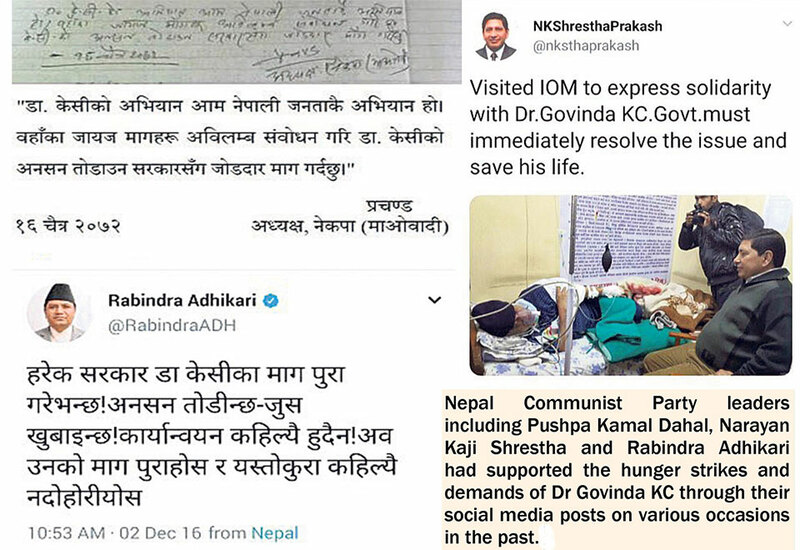 Pushpa Kamal Dahal, chairman of the Nepal Communist Party (NCP), signed the solidarity paper when visiting Dr KC on March 29, 2016 during one of the hunger strikes. “Campaign of Dr KC is the campaign of all Nepali people. I strongly demand the government immediately address Dr KC’s demands and pave way to end his strike,” Dahal said in his signatured statement. Almost all the political parties supported Dr KC while they were in opposition but all of them opposed him and did not care to address his demands once they were in government, according to analysts and experts. “Democratic and socialist or even communist governments did not address the concerns of ordinary people but they have always worked for the rich, big business and mafia groups. Now, the PM Oli government has treated Dr KC brutally and taken stance not to fulfill his demands,” Prof Kedar Bhakta Mathema, former vice chancellor of Tribhuvan University, said. During the tenure of PM Oli two years ago, a four-point agreement was signed with Dr KC. The agreements included buying the Manmohan Memorial College and merging it with the National Academy of Medical Sciences, and approving the Medical Education Act. Dr KC, who first started staging his hunger strikes in 2012 initiated his 15th hunger strike from June 30 in Jumla. Dr KC’s major demand with the government is withdrawal of the Medical Education Bill registered in parliament after changing major provisions of the Medical Education Ordinance. The Medical Education Ordinance provisioned 75 percent scholarships in government medical colleges and restriction on opening new private medical colleges in Kathmandu Valley for 10 years. The Ordinance has provisioned not allowing a university to grant affiliation to more than five private medical colleges, as recommended by a probe panel headed by Prof Kedar Bhakta Mathema. The report was submitted in June 2015. Bishwa Prakash Sharma, spokesman for the Nepal Congress, claimed that the NC-led governments addressed many demands of Dr KC through the formation of the Mathema Commission and by bringing the Medical Education Ordinance. However, Sharma was not for nationalizing the private medical colleges. “First, the communist-owned Manmohan Memorial College should be nationalized. It can be a model for replicating this concept with other medical colleges.” A large majority of existing private medical colleges are owned by persons close to the NC.